Sony has added three new devices to its EXTRABASS headphones series, which will be available starting April 20. Sony MDR-XB950B1, MDR-XB550AP and MDR-XB510AS are priced at Rs 12,990, Rs 3,290 and Rs 2,790 respectively. Sony MDR-XB950B1 can be bought in black and blue color variants, while MDR-XB510AS will come in black, red, blue and green color options. Sony MDR-XB550AP comes with an extra bass feature for deep sound quality, with its in-line remote and mic compatible with the smartphone. The device has 30 mm driver unit, adjustable headband and cushioned earpads. Sony MDR-XB550AP will be available in black, red, blue, green and white colour options. Sony has updated its EXTRA BASS portable wireless speakers series as well with four new devices – SRS-XB40, SRS-XB30, SRS-XB20 and the SRS-XB10. The speakers are IPX5 certified, making them splash proof. 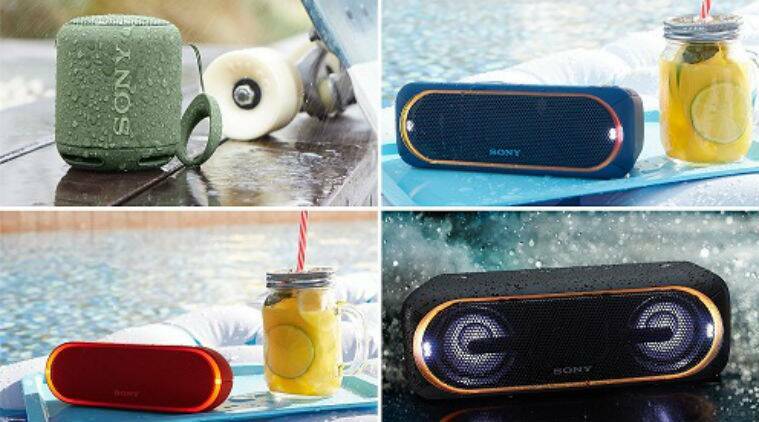 Sony’s new EXTRA BASS portable wireless speakers will be available starting April 25. Sony SRS-XB40 is priced at Rs 13,990 and will be available in black colour option. The SRS-XB30 costs Rs 9,990 and come in black, red and blue colour variants. Sony SRS-XB20 and SRS-XB10 are priced at Rs 6,990 and Rs 3,590 respectively. The devices will be available in black, red, blue and green colour options. Sony’s speakers support music streaming via NFC and Bluetooth. Sony SRS-XB40, SRS-XB30 and SRS-XB10 feature a flexible two-way design which allows users to set them up horizontally, or vertically while playing music. Sony SRS-XB40 has a LED perimeter line-light, that creates multicolor patterns. There’s a strobe flash and speaker light as well. The SRS-XB30 has line-light and strobe features as well, while SRS-XB20 features a single color line-light. Users can connect up to ten units to SRS-XB40, XB30, and XB20 via Bluetooth using wireless party chain feature. It helps synchronize music and light.